"Dr. Wang is a life saver!" "Dr. Connie was very friendly. Dr Connie is very knowledgeable." "Dr. Wang was courteous, knowledgable and addressed all of my concerns during my visit." "I would not trust any other specialists with my skin." "Such a great experience! Dr. Wang was thorough, patient and attentive." "Dr. Wang was great. She listened and understood quickly. She stayed on focus." "I highly recommend Dr. Connie Wang and her team at Elite Dermatology." "Love Dr. Wang and the staff." "Elite Dermatology is a beautiful office with friendly staff." "Dr. Wang and staff are all very knowledgeable, courteous, and seem genuinely happy." Patients throughout the greater Houston area can get comprehensive dermatology care under one roof at Elite Dermatology. The team of board-certified dermatologists at Katy and Kingwood, Texas, practice is currently accepting new patients of all ages. Under the direction of Connie Wang, MD, the team collaborates together to ensure each patient gets essential preventive skin care, as well as modern treatments for chronic conditions. While patients can get care for a realm of skin issues, some of the most commonly treated conditions include acne, melasma, hair loss, and eczema. The team even has extensive training in diagnosing and treating melanoma and complex cases of skin cancer. As leading dermatology experts, the team at Elite Dermatology even provides the latest in aesthetic treatments. Patients can reverse the signs of aging through botulinum injections, like BOTOX®, or get long-lasting dermal fillers. Practitioners even provide advanced microneedling treatments using the in-demand SkinPen® system. To further help patients care for their skin at home and resolve flare-ups related to rosacea, eczema, or other chronic skin condition, the team proudly offers several lines of clinical-grade skin care products. Some of the most popular lines offered at the clinic include EltaMD® and skinbetter science®. Every team member is dedicated to ensuring patients are treated with empathy and respect at Elite Dermatology. They strive to provide the highest quality individualized care for each patient. Patients regularly commend the team’s friendly, energetic, and experienced staff. Check us out on ZocDoc! Are you looking for a way to eliminate fat and change your body with no surgery and little to no downtime? 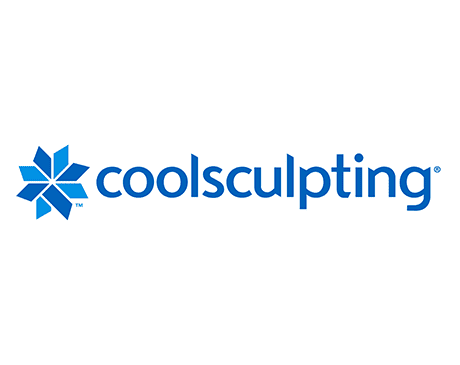 Learn how CoolSculpting can help get rid of stubborn bulges and provide the sculpted shape you’re seeking. "Great from beginning to end! Friendly/helpful receptionist and staff. Minimal wait time, clean facility and good vibes from everyone." "Very clean, no wait, even got me an appointment same day. Wow, an irritation I’ve been dealing with for a few months is gone!" "Dr. Wang has a beautiful spirit and is dedicated to patient care. She is one of the sweetest dermatologist I know." "Dr. Wang is one of the nicest, sweetest people. She is caring, listens well, and is really good at her job." "Dr. Wang is so sweet. Elite Dermatology does a wonderful job of making you feel comfortable." “Dr. Wang was very thorough and professional. She listened carefully, and responded to all of my questions. I highly recommend her to those seeking treatment."